Strasbourg has become a center of European governmental institutions and plays a major role in Europe. The European District of Strasbourg has grown steadily since 1949, when Strasbourg was chosen as a center for the reunification of Europe after World War II. Given its long history of being sometimes French, sometimes German, Strasbourg seemed a logical place to seek unity. 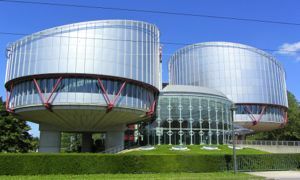 Today three major institutions are based in Strasbourg, grouped together along a branch of the River Ill that feeds into the Rhine. You can see them if you take a Strasbourg boat tour. The European Parliament (Parlement Européen), built in 1998, dominates the waterfront with its bold glass facade and curved shape. It includes a 750 seat chamber, as well as many offices and meeting rooms used by the 745 European deputies elected within the 28 member states of the European Union. 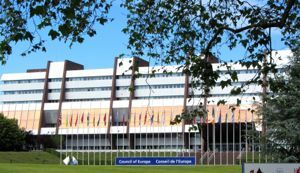 The Council of Europe (Conseil de l'Europe) meets in the Palais de l'Europe, on the opposite shore from the Parliament. Although it is pointed out on the boat tour, it's largely hidden by trees and best visible from land. Representatives of the 47 member states work here on issues of human rights and political stability, as well as seeking solutions for problems facing society today. It is the oldest of the European centers, built in 1977. Across from the Council of Europe is the dramatic Human Rights Building (Droits de l'Homme). Made of two metal cylinders said to symbolize the scales of justice, its entrance is glass, to represent the transparency of justice. It was designed by Sir Richard Rogers, who also designed the Pompideau Center in Paris. There are 47 human rights judges (one per member country) who consider cases brought by governments or individuals concerning violations of civil or political rights. The Parliament and the Council of Europe are only open to groups, by reservation. The gardens of the Droits de l'Homme building are open to the public; be sure to see the piece of the Berlin wall displayed there. Above, Human Rights Building, Strasbourg. Below, European Parliament Building, Strasbourg. Above, Council of Europe, just across the street from the Parc de l'Orangerie.